Hiding in a small, brushy valley between the 101 freeway and the western-most fringe of Griffith Park, the Hollywood Reservoir came to be in 1924, its water siphoned from Owens Valley by William Mulholland to serve as the city’s emergency supply. Most walkers access the paved DWP road encircling the lake at the north gate, off Lake Hollywood. Drive near Universal CityWalk. The flat, winding loop offers dramatic views of the water (mostly through chain-link), pricey homes, and the Hollywood Sign, which peers down from the hillside above. 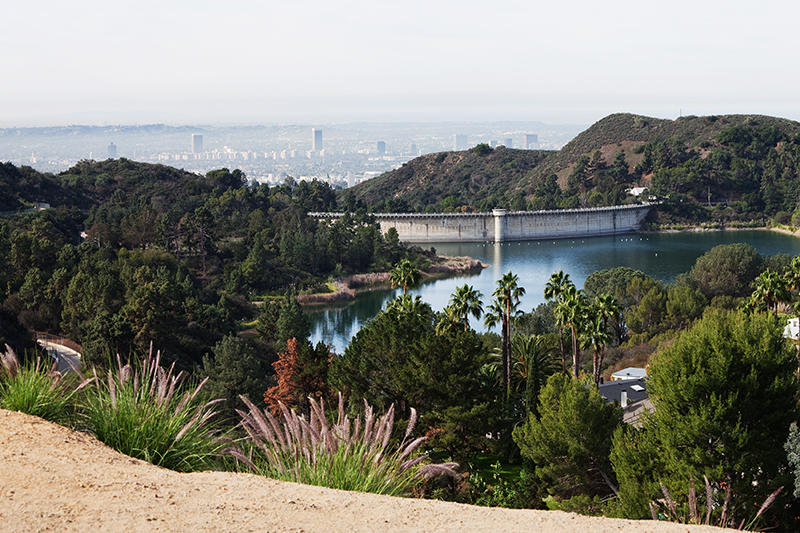 Crossing the ornate Mulholland Dam, which stands between nearly a billion gallons and the Sunset Strip, is another highlight. But most attractive is the sheer quietude, punctuated by the occasional duck squawk.